The Birmingham campaign was a strategic movement organized by the Southern Christian Leadership Conference (SCLC) to bring attention to the unequal treatment black Americans endured in Birmingham, Alabama. The campaign ran during the spring of 1963, culminating in widely publicized confrontations between black youth and white civic authorities, that eventually pressured the municipal government to change the city's discrimination laws. Organizers, led by Martin Luther King, Jr., used nonviolent direct action tactics to defy laws they considered unfair. King summarized the philosophy of the Birmingham campaign when he said, "The purpose of ... direct action is to create a situation so crisis-packed that it will inevitably open the door to negotiation". In the early 1960s, Birmingham was one of the most racially divided cities in the United States, as black citizens faced legal and economic disparities as well as violent retribution when they attempted to bring attention to their problems. Protests in Birmingham began with a boycott to pressure business leaders to provide employment opportunities to people of all races, and end segregation in public facilities, restaurants, and stores. When business leaders resisted the boycott, King and the SCLC began what they termed Project C, a series of sit-ins and marches intended to provoke mass arrests. After the campaign ran low on adult volunteers, organizers recruited children for what became known as the "Children's Crusade". High school, college, and elementary students were trained to participate, and hundreds were arrested, intensifying national media attention on the campaign. 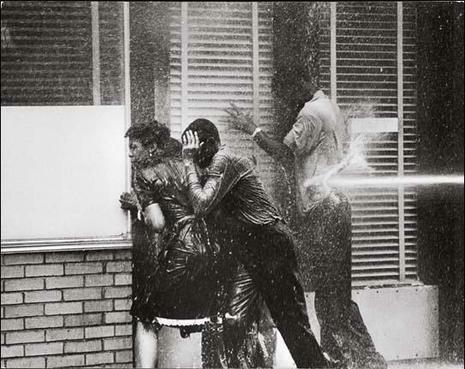 To dissuade demonstrators and control the protests, the Birmingham Police Department, led by Eugene "Bull" Connor, used high-pressure water jets and police dogs on children and bystanders. Media coverage of these events brought intense scrutiny on racial segregation in the South. Not all of the demonstrators were peaceful, despite the avowed intentions of the SCLC. In some cases, bystanders attacked the police, who responded with force. Scenes of the ensuing mayhem caused an international outcry, leading to federal intervention by the Kennedy administration. King and the SCLC were criticized for putting children in harm's way. By the end of the campaign, King's reputation surged, Connor lost his job, the "Jim Crow" signs in Birmingham came down, and public places became more open to blacks. The Birmingham campaign was a model of direct action protest, as it effectively shut down the city. By attracting media attention to the adverse treatment of black Americans, it brought national force to bear on the issue of segregation. Although desegregation occurred slowly in Birmingham, the campaign was a major factor in the national push towards the Civil Rights Act of 1964, which prohibited racial discrimination in hiring practices and public services in the United States. In 1963, Birmingham, Alabama was one of the toughest holdouts to desegregation. In fact, it had aptly earned the nicknames “Bombington” and “A City of Fear” because of its violent response to civil rights activists. 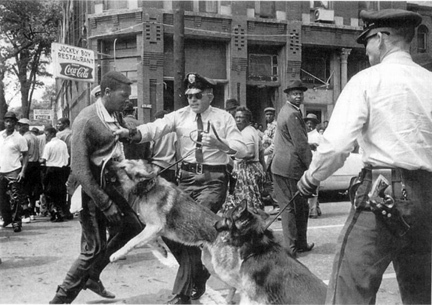 In part, this was because of Police Commissioner Eugene “Bull” Connor; it was Connor who controlled the city. When the Freedom Riders had arrived in 1961, Connor stood idly by as the Ku Klux Klan attacked them. Two years later, Connor was still a staunch segregationist who was determined to prevent integration in spite of white business owners who hoped to end the boycott of their stores. 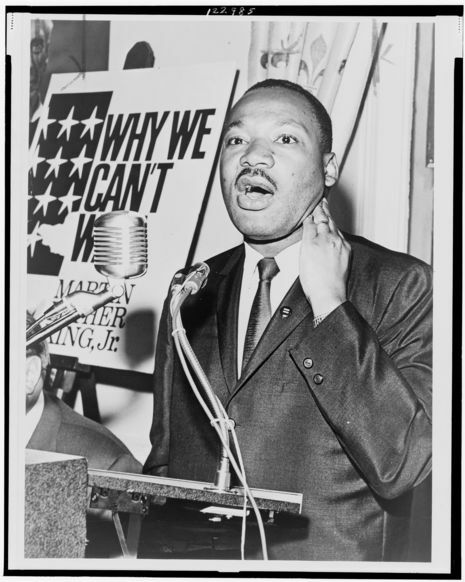 Martin Luther King Jr. and the SCLC decided that Birmingham was the perfect place to bring their next campaign. Fred Shuttlesworth, the head of the Alabama Christian Movement for Human Rights, had encouraged King to come and was ready to head up a joint campaign. It was perfect timing considering that Birmingham was undergoing a change in its political structure. The city was controlled by three city commissioners and a mayor, but the March 5 election would change this. The committee, which Bull Connor ruled, was headed for dissolution and the new elected mayor would govern the city alone.